Advanced cancer fighting technology has arrived. It is the CyberKnife Radiosurgery System. It is the one word no one ever wants to hear their doctor say – cancer. In the past, having a cancerous tumor removed meant undergoing invasive surgery and recuperating in the hospital for days. Today, doctors have access to CyberKnife, the innovative technology that targets and eliminates many types of cancerous tumors without surgery or even a scar, or an overnight hospital stay. 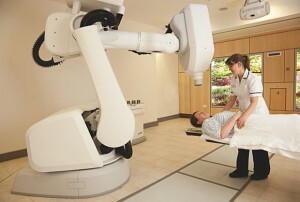 CyberKnife places the radiation-producing machine on a computerized robotic arm that beams the radiation with sub-millimeter precision. A unique and important feature of the CyberKnife System is its robotic tracking technology that enables continuous coordination with a patient’s tumor movement during treatment. This is especially crucial for patients receiving treatment for lung and prostate cancer two areas that are in constant motion. Because of the CyberKnife System’s ability to continuously track and adjust in real-time, in combination with its sub-millimeter accuracy, a patient can be confident their tumor is being treated while the surrounding healthy tissue and organs are spared. The CyberKnife Radiosurgery System was the first, and remains the only, dedicated full-body radiosurgery device designed to help destroy tumors with intense, highly focused beams of radiation. The CyberKnife System can treat tumors anywhere in the body, from the brain to the lung to the prostate. It is the best radiation oncology solution for treating, tracking and adjusting in real-time to moving targets with extreme precision and accuracy. What is a CyberKnife treatment like? 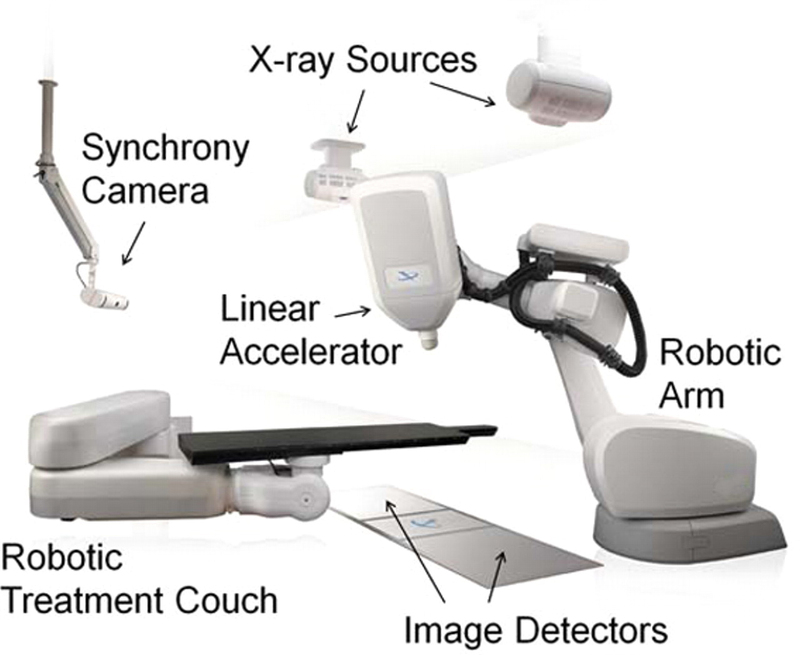 When receiving treatment, patients simply lie down on a padded table and breathe normally while the CyberKnife System quietly moves around them. Multiple beams of high energy radiation are delivered from multiple points outside of the body and converge precisely at the tumor or lesion inside the body. Each individual beam in not sufficient to cause harm but the convergence of all the beams at the tumor results in the lesion receiving a very high dose of radiation while sparing nearby normal tissue. One of the fantastic advantages of the CyberKnife System is able to treat patients in one to five days compared to months with conventional daily radiation treatment. This is because of the CyberKnife System’s extreme accuracy; delivering the precise, maximum dose. Not only do most CyberKnife patients avoid surgery and finish treatment in a week, their brief course of treatment is pain-free and typically lasts an hour or less per treatment. 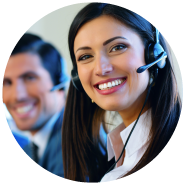 The majority of patients are able to comfortably continue their daily routines during the treatment. CyberKnife allows treating very small areas with high doses of radiation with the upmost accuracy. One of the difficulties of treating cancer is avoiding hitting the normal tissues. With CyberKnife the surgeons are able to treat the tumor very successfully while doing a better job than other machines at sparing patients’ healthy organs. The CyberKnife System is a great option for patients who are unable to receive surgery, have surgically complex tumors or are seeking an alternative to surgery that will allow them to continue their active lifestyle with minimal disruption.